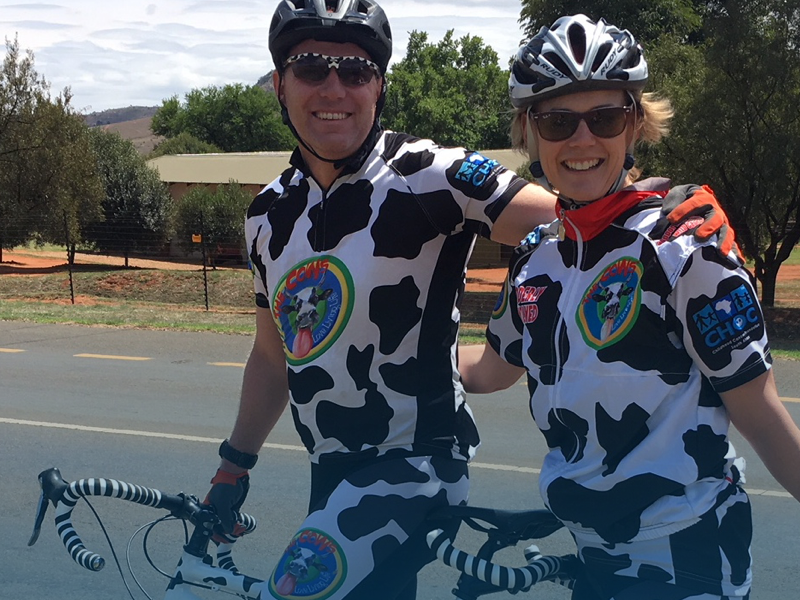 On the weekend of 19 November the Choc Cows took on their 10th Telkom 947 Cycle Challenge for CHOC Childhood Cancer Foundation South Africa. Pictured are parents and co-founders Grant and Kerrin Bain, who rode in the Cows’ first cycle challenge in 2008, having lost their little daughter, Jessica Madison, to cancer. The first CHOC Cows raised R230 000 that year and returned every year since – and thus the Cows fundraising movement was born. To support the Cows in their fundraising effort for the CHOC Childhood Cancer Foundation, go to Grant and Kerrin’s fundraising page at https://www.givengain.com/a/grantkerrin/ and donate to one of their fundraising projects!